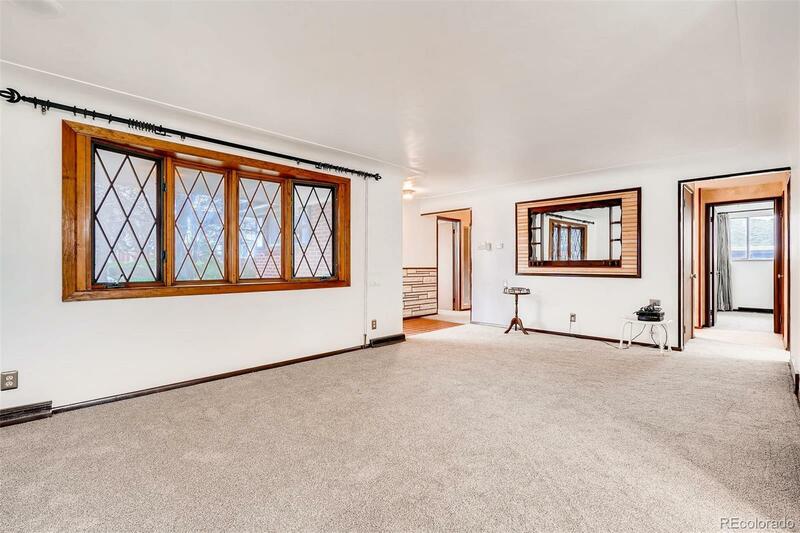 Solid, well-built brick ranch. 5 beds and 3 baths with a total of 2884 sqft, attached garage and tons of driveway space with room for RV or boat or other toys. A lot of love has been put into this home, owned by one family for over 40 years. Home features a new roof, new 95% efficient furnace, new thermostat, new water heater, new swamp cooler, new carpet/flooring, new paint, new outlets and switches in all rooms, some new LED lighting throughout! The bedroom has a sunroom area with working hot tub and backyard access. The basement features a bar area and rec room with pool table. The large yard is a very private oasis full of perennial plants and flowers, including apple, maple, walnut, locust trees, and grape vines. This home is close to schools and public transport, bus stops just steps away and only 1.3 miles to the Westminster light rail station. Close to all major highways. Nearby parks include Cobblestone Park, Bishop Square Park and Municipal Court Park.